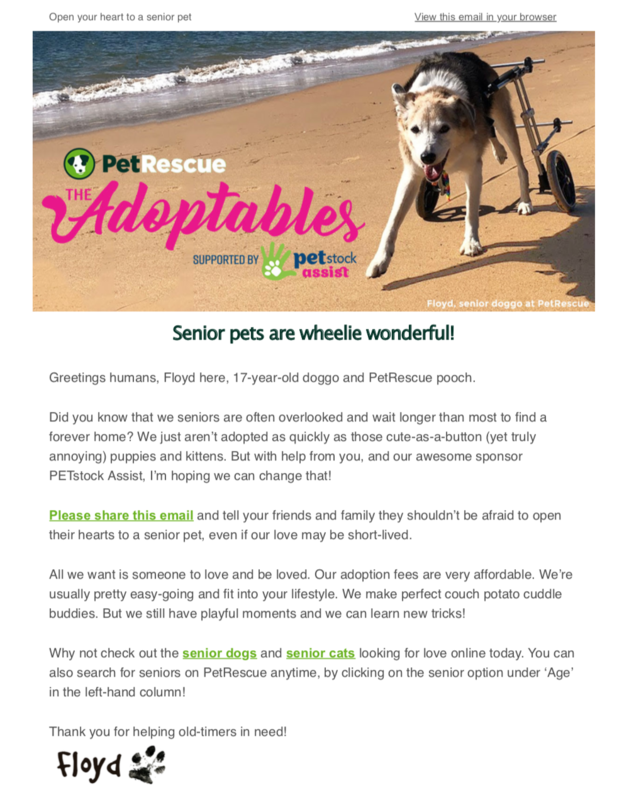 In 2016 PetRescue ran in their words “... a fundraising and adoption drive at the same time....”. 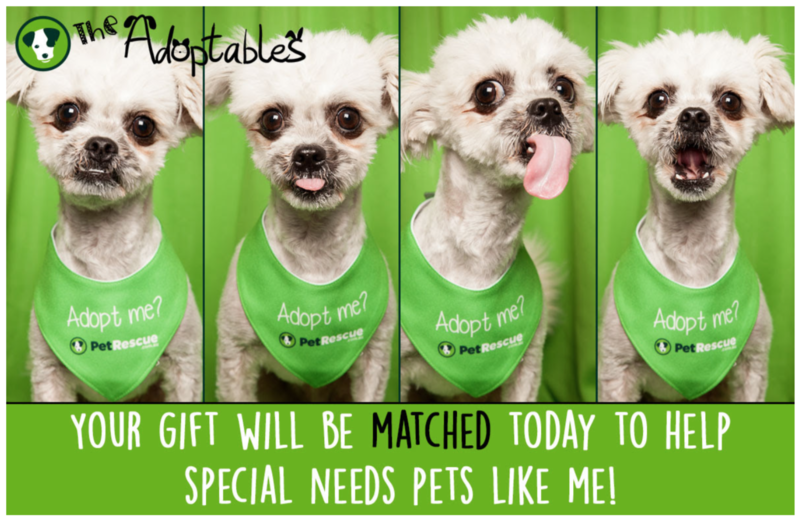 The campaign 'The Adoptables' would tell the stories of special needs pets that needed adoption in a donation solicitation at tax time. Rescue groups would get the “exposure” and PetRescue would keep the money. For what? Web development. 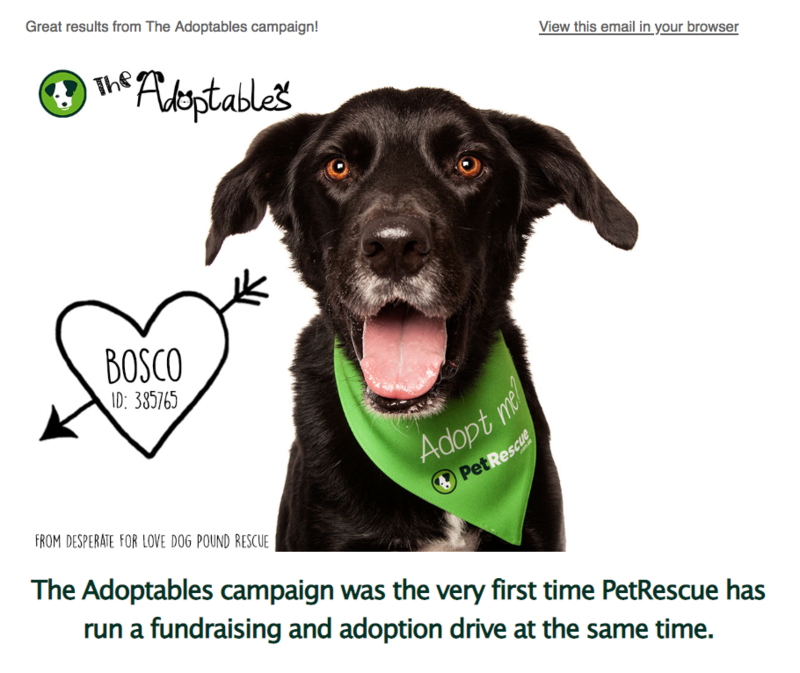 ‍PetRescue pitched to build themselves a new website and to add a bunch of new features to their website. An undisclosed amount of money was raised. This campaign was nominated for a Fundraising Institute of Australia "Excellence in Fundraising" Award. 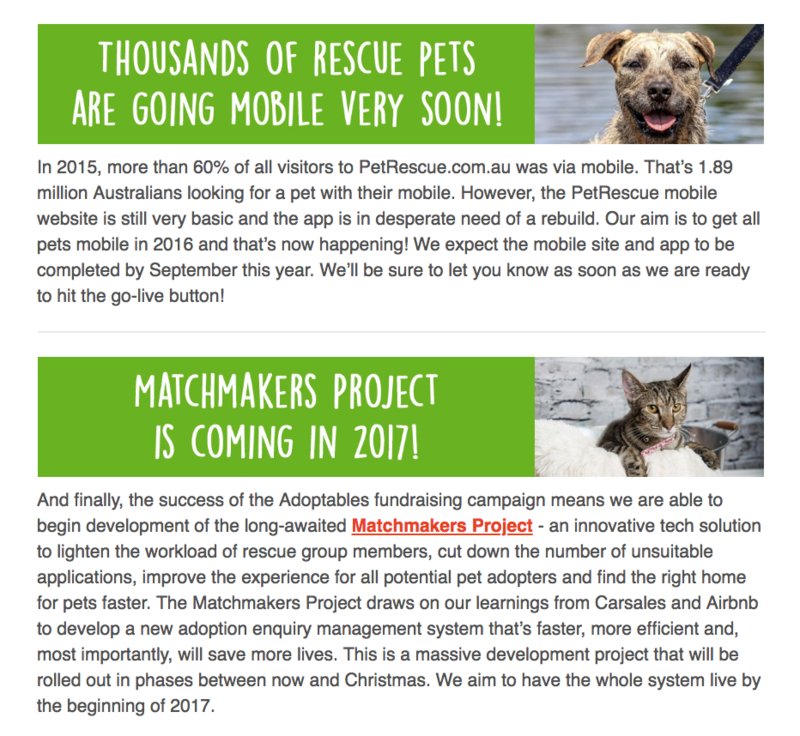 And PetRescue rebuilt themselves a "new mobile responsive website" which was launched in May 2017. PetRescue again ran 'The Adoptables' collecting for 'The Matchmaker Project'. 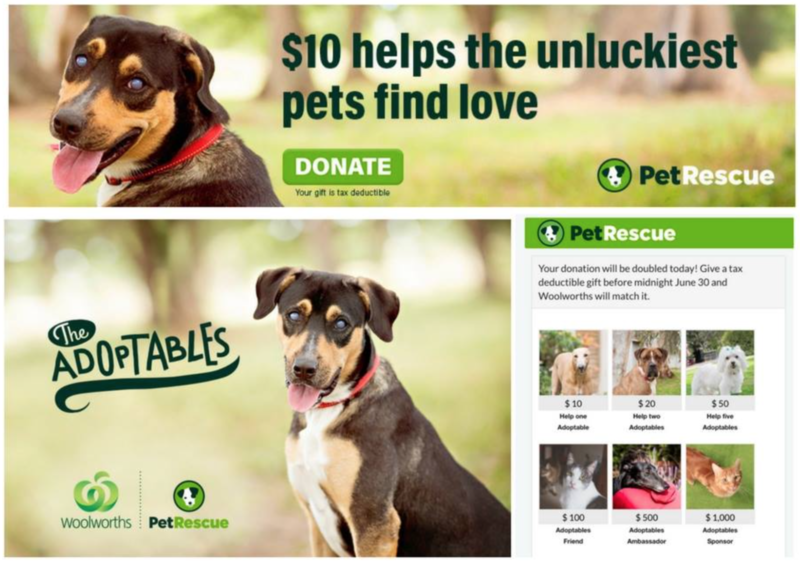 During the previous year's PetRescue got the feedback that maybe it shouldn't be collecting money for special needs pets, when it had no intention of giving money to those pets. In response,PetRescue dedicated one day - the final day - of fundraising to rescue groups. $50,000 for vet work ($25k raised, $25 matched by Woolworths). This $50k was shared amongst a handful of groups who had given their stories to use in the solicitation. While PetRescue banked nearly $180,000 for this project, same as the last project. And spent just $8k on paid advertising for pets in the same year. ... and groups are being asked for their stories. And before participating, rescue groups need to be asking what are the parameters for this re-launched campaign? Is it going to be PetRescue's Christmas fundraiser? Will the stories be used to raise funds for either PetRescue or PETstock Assist? 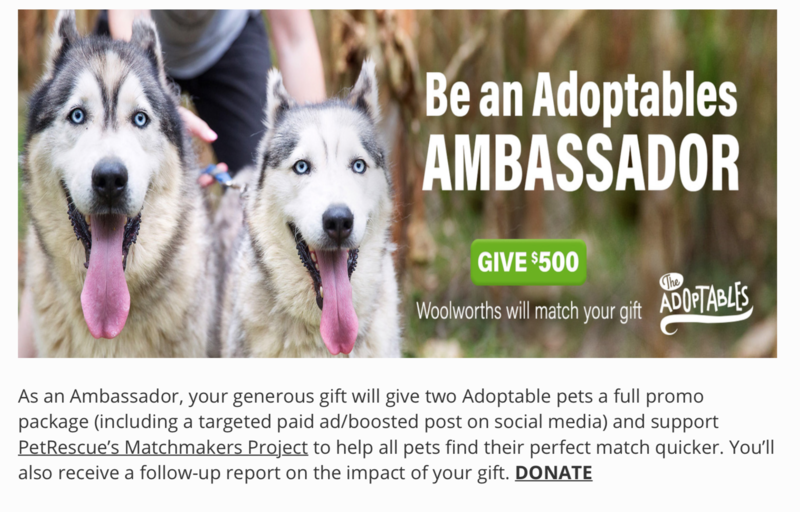 Do these photos go into PetRescue's database of stock photos to use at their discretion? 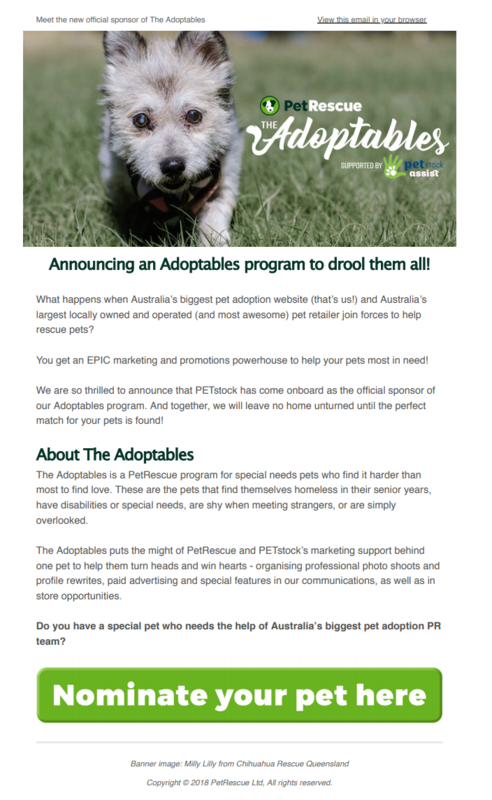 Do "communications features" mean PetRescue talking to the new owners of pets after adoption? In short, is this new 'The Adoptables' more beneficial to groups than it has been to date?